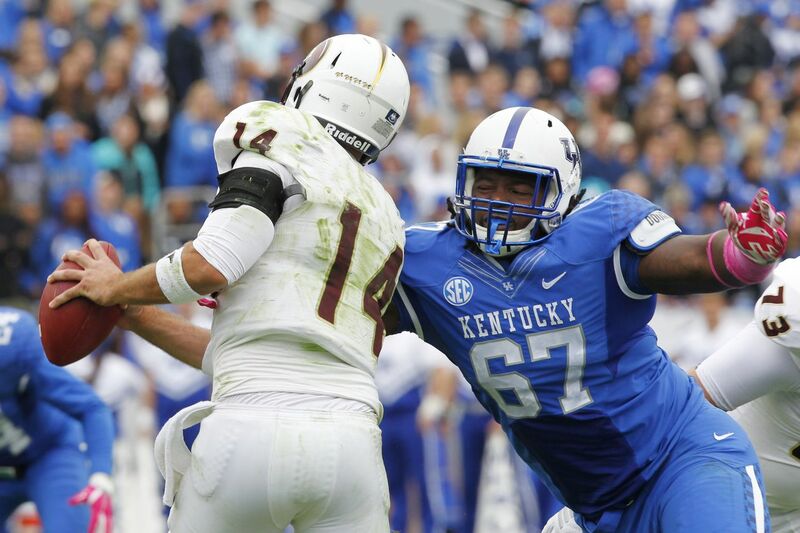 The former Kentucky defensive tackle has been in the CFL for the past two seasons. Former Kentucky defensive tackle Cory “Poop” Johnson has signed with the Toronto Argonauts of the CFL, and while I’d like to say I’m an expert on the player, I’m not. What I do know is that Poop Johnson is an incredible name, and is a very fitting nickname, but not due to his play on the field. No, Mr. Poop is nicknamed that because he poops A LOT. He’s a big man, and he’s not shy about talking about his bowel movements. He stated in an interview once that he goes five times a day, which … as a big man myself, that’s impressive and a little scary. I’ve been writing about sports for over a decade now and this is the first time I’ve been able to identify with a player on this level, because man, I get it when he makes his movements out to be pretty wild. Mine are chaos, absolute chaos, and that’s why I don’t use public restrooms. I care about other people. I poop at home to save lives. Johnson is also notable for two separate Piesman-eligible plays, on both of which his play was decidedly not poopy. He spent the past two seasons with the Winnipeg Blue Bombers, which are a much better team in regards to hilarious poop jokes. He also spent time with the Atlanta Falcons and Kansas City Chiefs in the 2016 and 2017 offseasons.